Okapi may be a common word in some crossword puzzles, but these elusive animals are not so common in the wild. Living only in select African rainforests, okapi are part of the giraffe family and they have heads like giraffes, although their necks are shorter. Their bodies resemble horses and their markings are similar to zebras. 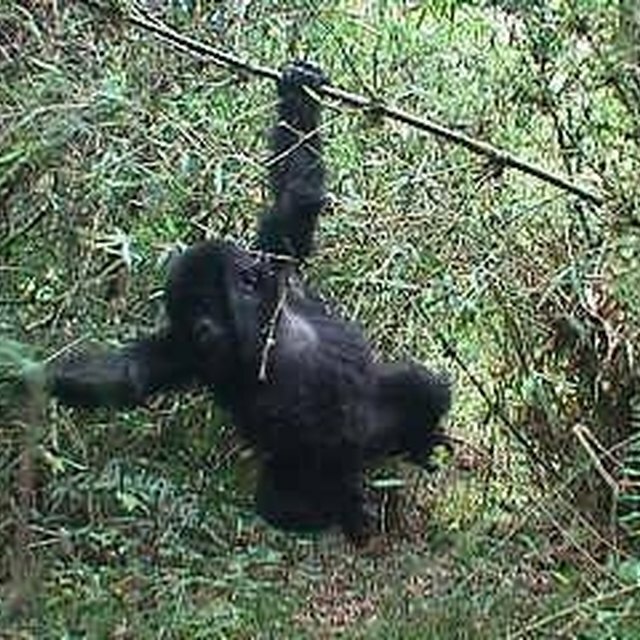 Adults reach up to 6 feet in length and can weigh more than 550 pounds. Okapi live up to 30 years in captivity, but there is not enough data to predict how long they live in the wild, University of Michigan says. They subsist on leaves, grasses, fruits, buds, fungi, fern and other foliage and plant life in the rain forests, often using their long tongues to reach the higher branches and leaves. These solitary animals roam alone, although mothers will often roam with their offspring. Okapi often stick to a home territory, which they mark by rubbing their neck against the tree bark. Although they do not roam in packs, they do tolerate each other, even when there are small groups feeding in the same location. Okapi mate all year long, with mating especially common in May and June and again in November and December, Animal Planet said. Females usually give birth to a single calf after a gestation period of about 450 days. The average calf weighs anywhere from 30 to 65 pounds at birth. It often starts nursing in as few as 20 minutes after birth and stands up after as a few as 30 minutes. Once mating is complete, male and female okapi generally go their solitary ways. Both male and female okapi are old enough to breed by the time they reach about two years old. Young okapi are as masterful at hiding as their adult counterparts. Young okapi usually spend their first two days after birth following their mothers around, but then spend the next few months hiding in a nest. They will rarely venture out and even nurse infrequently so they are less inclined to defecate and be forced to leave their protective haven, according to the University of Michigan. If a young okapi is endangered in the nest, its mother will come fiercely to its aid. The early hiding stage keeps young okapi safe from predators and allows for very quick growth and development. Nursing usually lasts about six months, but can continue for up to one year. The destruction of rainforests has wreaked havoc on the okapi population, as has continued poaching and lack of knowledge about the species in general. 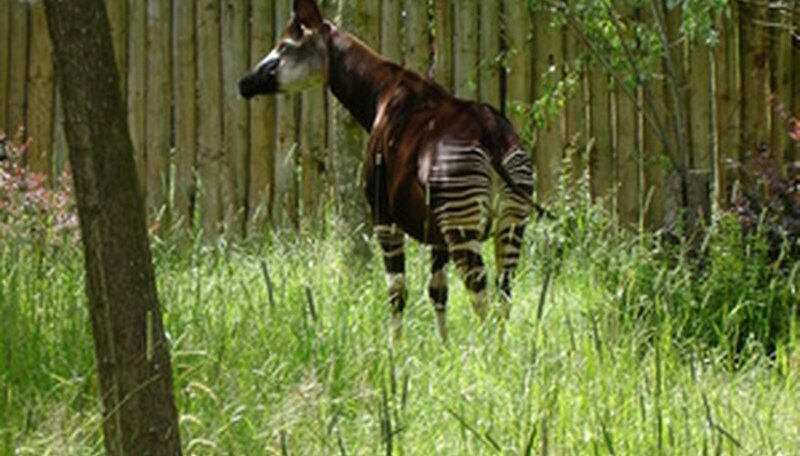 Field research on the okapi is especially lacking, according to the University of Michigan, since okapi live in such remote areas and are generally very reclusive. When scientists first discovered okapi in the early 1900s, zoos across the globe were clamoring for one to add to their exhibits, the University of Michigan notes. This craze killed many okapi that could not survive the long and tedious journeys on boats and trains. Airplane travel works better at keeping the animals alive during transport, and once zoos obtain okapi they often breed them on the premises. Animal Planet notes okapi’s conservation status is near threatened. Gargulinski, Ryn. "Life Cycle of the Okapi." Sciencing, https://sciencing.com/life-cycle-okapi-6606734.html. 24 April 2017.